You'll think you're in Iberia upon entering this more-than-70-year-old Spanish mansion's great room with its fireplace and terracotta floors. If you want out-of-place opulence, this is the perfect Estate. The lush backyard surrounds a pool and a covered Jacuzzi. Upstairs, one of the four great rooms has a vaulted ceiling and a small balcony overlooking the large outdoor pool. This Mediterranean mansion was built in 1929 by Kiehnel & Elliot from Miami. The home is just a short stroll to the world-famous Daytona Beach. 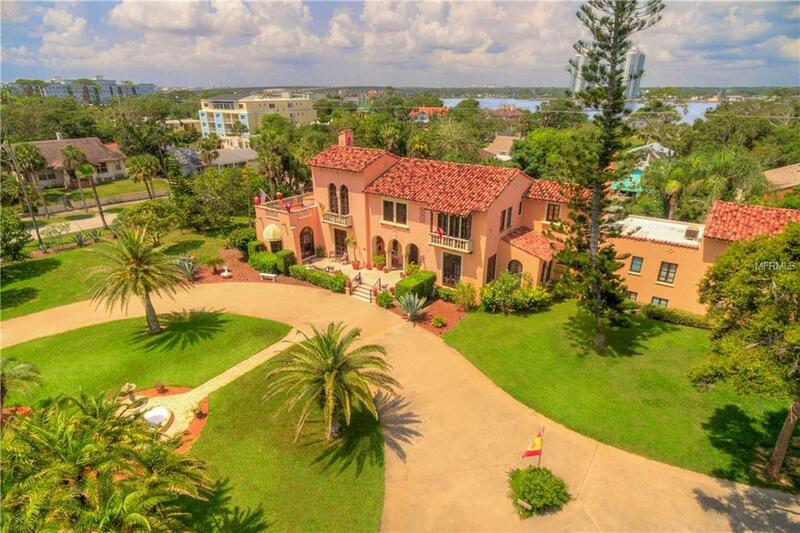 The original details include intricate tiled main entry hall, grand salon, formal dining, Florida breakfast rooms, incredible woodwork and detailed ceilings throughout. Registered as a historic landmark, this home offers four bedrooms, four full and one-half bath within 5,000 square foot of the main home, plus a detached guest house with three bedrooms, two baths, Florida room, great room with kitchen, dining and living room. The 1.25-acre grounds that are beautifully manicured include a private walled area swimming pool, hot tub spa, and outdoor summer kitchen. The home is also equipped with a circular drive for seven cars and a two-car garage complete with chauffeur apartment above garage. The home is protected by a full security gate surrounding the perimeter of the property.